Storing Olive Oil To Protect It From The "4 Enemies"
Here’s a lesser known fact about extra virgin olive oil – one worth remembering. Extra virgin olive oil is fresh-squeezed juice – just like good fruit juice. (Yes, olives are a fruit.) Consequently, extra virgin olive oil is perishable. And, unlike wine, extra virgin olive oil doesn’t improve with age. Quite the contrary – as we remind people who “save” our Limited Reserve or other oils for months beyond the “Best By” date. 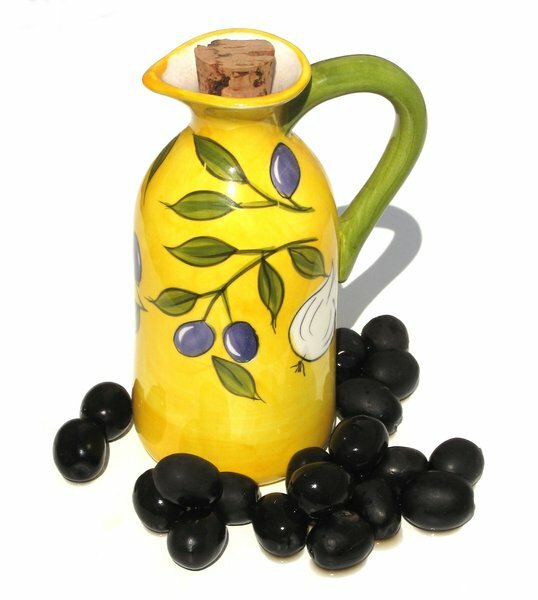 Time – Once bottled, olive oil has a two-year shelf life. And once you open your oil, you’ll want to use it sooner versus later. We recommend using up the oil within 30 to 60 days. Light – Exposure must be minimized or eliminated at all times. Oxygen – Exposure must be minimized or eliminated during storage. We top off each bottle of our oil with a small amount of nitrogen to force out any residual oxygen before the bottle is capped. And here’s how to protect your oil from the enemies. Keep your oil away from direct light. Store your oil in a dark cupboard, or a closed pantry or similar storage area. Don’t keep it by the window. Ultraviolet rays can break down an olive oil over time. It’s why we bottle our oil in dark green bottles. It’s also why you want to avoid keeping your oil in a clear cruet – as nice as that may look. If you want to use an attractive cruet, use one that will block the light. Keep your oil away from heat. It can get damaged if exposed to heat. So avoid keeping it near a stove or oven. Don’t store your oil in the refrigerator. Putting your olive oil in the refrigerator can cause more harm than good. Just like you want to avoid heat, you want to avoid cold temperatures, too. “Allowing the temperature of the oil to go below 50 degrees Fahrenheit can negatively affect the quality and flavor,” says our science guru Mary Bolton, a food scientist who heads our team that evaluates and tests our oils. Protect your oil from being exposed to air. Air can degrade oil quality and the process starts once the oil is exposed to air. Once you open a bottle, use oil quickly and, if necessary, store it in smaller bottles or steel containers to minimize its exposure to oxygen.